The two white lights also were shooting out beams of white light in a pulsating strobe light effect. The reddish orange light closer to the horizon did not have beams shooting from it. “At first I thought it might be three helicopters with really bright search lights until I noticed the beams of white lights shooting out to the side of the bright lights,” Zimmerman said. He said he awoke his fiancée to make sure he was seeing what he thought he was seeing. The couple watched for approximately three minutes he said. Zimmerman said the sun was rising and he’s not sure how the lights disappeared. He said he didn’t know if they became less obvious because of the sun’s light or if they just left. Zimmerman said his home faces the northwest and his bedroom is on the back of the structure. The Stephenville UFO saga continues with Zimmerman being the third officer to come forward after Erath County Constable Lee Roy Gaitan and Sheriff’s Deputy Jim Clifton” (posted 28th feb,2008). So as we can see, the stephenville ufo “flap” was not just confined to the 8th-10th january (although the world media focused in on the 8th-10th january, 2008). MUFON and other sources of information collected, and pieced together, prove that the ‘flap’ took place over a much larger period of time. There is quite a few updates to get through this week, so here goes…(some of the updates incorporate sightings that i have picked up whilst surfing the net/or missed, so not all are from february/recent reports, but i feel should also be mentioned). Whilst checking the website ufobc.ca, i noticed 2 recent reports worth mentioning here. “I happened to be looking out our balcony window, when there was a large round (from my perspective; had the sense it was spherical) green light. The object was enormous and low; probably level with the tenth floor of our building. It’s difficult to gauge it’s size but it appeared to be over False Creek and from my vantage point it looked to be a few hundred feet in diameter. The centre of the object was brilliantly green and the light defused further from the centre. The bizarre thing was that it didn’t diffuse entirely as it radiated, but had a very defined edge. The object appeared, remained for about two seconds, then vanished” (extract from article). It then goes on to a series of questions and answers to the sighting. “On November… I believe 29th of 2007, I was driving home from town. I had my daughter and her boyfriend with me. It was a perfectly clear night between 6:30 pm and 7 pm. Suddenly there was a fog that came up around us in which we all started talking about because it was so odd. Then, a very bright bluish light lit up around us which really startled us. At that very moment a bright white light shot from the sky at low altitude and could have hit the ground in front of us, but not so that we could see. We were very startled, and nervously chatted along the drive. We drove a ways and there were very bright lights that appeared in front of us. It looked as though I might run right into them and I began to come to a stop. It looked as though they zipped sideways and disappeared” (extract from article). This is just a taster for even more wierd things… the report goes on to mention her diary which starts from the 9th december 2007….and the diary finishes, in this article on january 26th 2008. It is indeed strange. You might also like to see Recently Reported BC Sightings (updated feb 21st,2008) for more interesting stuff from the same site. At abc.net “The paranormal at Penrith draws response from believers” (posted feb 14th,2008). “Here’s something not many would know – that Sydney’s south-west, northern beaches and the Penrith-Blue Mountains region are regarded as ‘hot-spots’ for UFO sightings. Those who believe are already convinced, and their numbers might be boosted as a result of an exhibition featuring UFO inspired art at the Penrith Regional Art Gallery The Visitors – The Australian response to UFO’s and Aliens” (extract from article). At ufosnw.com there is a map for feb 2008 ufo sightings here for north america… click on the icons for a report from their site. In the shropshirestar.com “UFO’s mapped over shropshire“(posted feb 19th,2008); it claims to be the top town of the UK in 2007. “Her partner, and two children aged eight and 12, all saw the object on Saturday at 6.20pm and described it as triangular from one direction and oval from another with no distinct outline. The 30-year-old said: “It could have been the size of a jumbo jet but it was not moving fast, more hovering. As we went past Rownhams we could see it to our left. I did not feel scared”” (extract from article). “I was out on my patio pondering the mysteries of the universe at around 10 PM on the evening of February 13 and caught a glimpse of a most magnificent sight. First, I saw a red light, which I originally had believed to be was a star, begin moving! It did various loopy maneuvers and then disappeared” (extract from article). 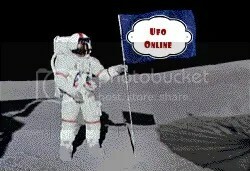 At Analuisacid.com, a googled translation of the article (can be seen) entitled “Young Bandena photographed a ufo“-Argentina-(feb 13th,2008). “A curious phenomenon was photographed by a young woman from the city of La Banda (Argentina). She took the photo of the rainbow and review images discovered a strange object in the sky. Informe Noticiero 7. News Report 7” (extract from translated text from google). The dailybreeze.com talks about ” The great L.A. Raid Mystery” (posted 20th feb,2008). “Questions still abound over the Great Los Angeles Air Raid of 1942. What was it that showed up on military radar screens the night of Feb. 24, 1942, prompting authorities to order a blackout and unleash an hourlong anti-aircraft barrage?Could it have been enemy aircraft like those that attacked Pearl Harbor less than three months earlier? Was it just a weather balloon? Might it have been a UFO?” (extract from article). In Fox12 news “Meteor is no UFO” (posted 20th feb,2008). “A shocking event just after 6:30 Tuesday morning grabbed the attention of people across the Northwest. Officials now say it was a meteor entering the earth’s atmosphere, but with witnesses stretching from Canada through Washington, Idaho and Montana, you might have gotten the idea that this falling rock from space was something much, much different” (extract from article). “Jack and Shirley Kendal were taking shots of the sunset, earlier this month, to use up film on a disposable camera, when they inadvertently snapped a cigar-shaped object hovering over the Fleetsbridge area” (extract from article with photo). I was having a look at the excellent NICAP site (National Investigations Committee on Aerial Phenomena), and was reminded of information to past Texas ufo sightings. “The evidence for a UFO/Nuclear Connection grows stronger by the day. 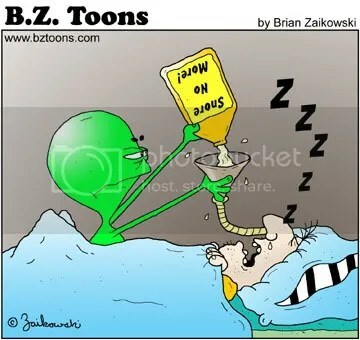 Official FBI, CIA, Army and Air Force documents establish, beyond a doubt, that UFOs have been seen and reported where uranium was mined and plutonium was manufactured (the Congo, New Mexico, The Oak Ridge, Tennessee, the Hanford Plant at Washington, the Savannah River facility at South Carolina). 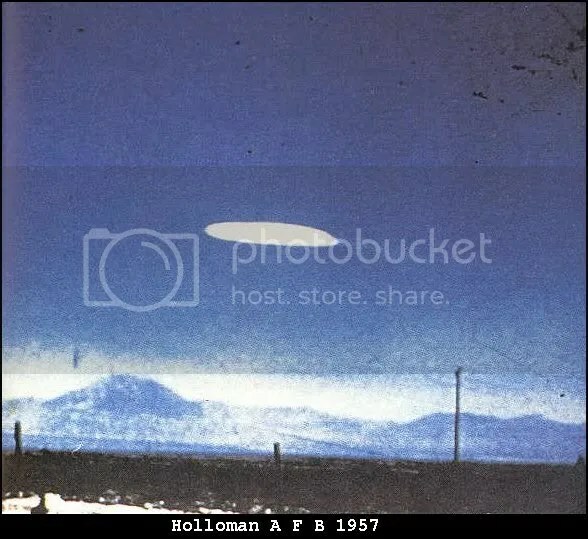 Official reports are on file of UFOs seen where bomb development took place (Los Alamos, Sandia Base) and where nuclear weapons were stored (New Mexico: Los Alamos,Manzano Mountain near Kirtland, NM, and Texas: Killeen Base ant Camp Hood. This is the second part of that story, the Camp Hood Sightings, which we produced to include all the known cases and provided links to the full report directories and official supporting documents. The matrix for this chronology is based on the portion of the book, “The Report on Unidentified Flying Objects”, by Captain Edward J. Ruppelt, where these sightings and the story surrounding them is covered in detail. Where enough information is not available to produce a case directory, the supporting documents are provided as temporary directories” (extract from article). It then goes on to give descriptions of sightings from november 2nd 1947, until may 25th 1995. Cat 9 and 11. 10:30 a.m. Captain and First Officer of America West Airlines Flight 564 reported a large silhouetted cigar-shaped object, pulsating lights along body. An America West B-757 airliner was cruising at 39,000 feet near Bovina, Texas, en route from Tampa, Florida, to Las Vegas, Nevada. 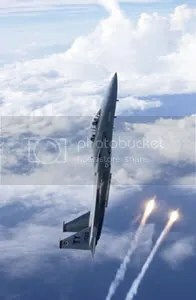 When the background clouds pulsed with lightning, they could see the silhouette of a dark, wingless, elongated cigar-like object around the strobing lights. Estimated to be 300-400 feet long. The bursts of speed were computed to be between 1,000 and 1,400 m.p.h” (extracts from article). This data is interesting, as it proves that sightings in this area have been reported for quite a while…. the closest matches to the Stephenville sighting have been given above . Ufo sightings from Texas, can also be seen here from 1723 until 2005… the texas sightings are mixed in with other sightings, but it is worth sifting through to look at these too. To a certain respect this seems to be true, but to be honest, i might have to go and have a look and check this. Anyway, to conclude: the Texas area seems to have had more than its fair share of ufo sightings, and the recent Stephenville ufo sighting is testament to that fact. Looking back into previous sightings, in the immediate surrounding area, and then the wider area of Texas as well, it can possibly help us build up a picture of what is going on (any hotspots for instance), among other things…. of course some of the sightings are hoaxes, or IFOs and this must be taken into account as well. more on Stephenville UFO sighting… secret military installation in the area (with airstrip) + witness alleged he was harrassed + other evidence; near the end of the week. UFO Updates (sorry delayed again)… apologies for this..not sure when this will be out (hopefully this weekend). Any new update on California ufo sighting (if and when available) +ongoing. If you feel you would like something looked into [ie Rendlesham Forest incident for instance], then please leave a comment below, and i’ll try and look into it, and write an article about it. UFO sighting in California, many witnesses (no press coverage). The American Chronicle drew my attention to “California gets hit with massive UFO sighting” (posted february 4th 2008). On January 26, 2008 residents from Orange and LA County, Anaheim, and Brea, California were witness to a very unusual but spectacular UFO event. Numerous people watched as an object fell from the night sky and to their amazement it came to a complete stop while in flight. Most folks thought at first they were witnessing a meteor falling to earth until the object stopped and hovered, leaving everyone scratching their heads. While these objects sat and moved around the sky, aircraft were seen and appeared to be checking out these objects. As just about all of the eyewitnesses mentioned to me, they are baffled at no mention in any of the newspapers over the event, or media in general. I must admit, that makes me wonder why not, when so many people witnessed this really unusual event in the night sky. There ended up being two extremely bright objects that sat stationary for a short time, then moved back and forth as if they were lost. I spoke to a man today on the telephone and he said it was the most bizarre thing he has ever witnessed in his life. The fellow said he lives very close to the John Wayne Airport in Orange County and has witnessed just about every fixed wing aircraft, helicopter and anything else that we would class as normal until January 26, 2008 when his beliefs were shaken. The gentleman told me he got into his vintage Datsun 280Z sport car and at a high rate of speed, he pursued the unknown objects and tried to get a better and longer view, if not a photo on his laptop webcam. As the man watched, he realized that two of the lights were not like anything he had ever seen, and the light closest to him was what appeared to be an airplane heading toward the two much larger and much brighter objects. The objects were very large and very bright in comparison, a white-ish to yellow-ish orange color, almost flame like, at first, but much brighter and steadier than that. They were oblong shaped from his perspective. They had a definite shape, not mere points of very bright light. There also appeared to be some sort of aircraft circling in very tight circles, as soon as these objects came to a stop at cloud base. Because of the tightness of the circles, he took it to be a helicopter. This would have made a total of four objects, the two bright steady “orbs”, an airplane, and helicopter. All this transpired in no more than 10-15 seconds. The whole formation seemed to then move in a direction away from his position, toward Los Angeles and got lower in the sky and was obscured by palm trees and buildings which were near him. Another couple, a husband and wife were driving west bound at about 6:00pm PST. In the sky was a bright, glowing light falling toward earth with a bright tail of light. Their first thought was, that it was a falling star, but both of them quickly realized it was huge and too close to the earth for that and said to each other, its going to crash. The object stopped falling and appeared to hover, the tail of light extinguished and the main ball of light remained very bright. It faded in and out and then traveled horizontally very quickly. Another glowing light seemed to be circling around it in a wide pattern. Both were very bright lights, brighter than airplane landing lights and farther away from these two was another light, blue and very small. It seemed to be circling these objects in a very wide pattern and they thought it to be an airplane watching the phenomenon. They didn’t pull over and kept driving toward the objects, but, they got lower to the horizon and they lost sight of them behind trees as the road dipped. When the folks got back to an unobstructed spot, the lights were gone. The event lasted about 5-10 minutes. Despite the highly visible, quite spectacular and unusual display in the night sky, not one report of it could be found on news stations or in the OC Register. The couple in discussing it’s location, estimated that it was approximately 50 miles away which would make it over LA County, even though they were seeing it from Orange County. A witness was getting ready to enter the 57 Fwy South from Imperial Hwy in Brea, California when he saw what initially appeared to be a falling star. Within seconds from the first sighting, a second flame looking light flew in the same direction as the first. They would stop and a bright light would emerge and then start moving again. Every time they started to move, it looked like a ball/tail of fire. He saw an aircraft that was initially heading north and start to circle the area and that is when the objects vanished. He has never seen anything like this. His wife and kids also saw the same objects. The man stayed up most of the night thinking of what it might have been. A guy and his girl friend were going to dinner before their winter formal. 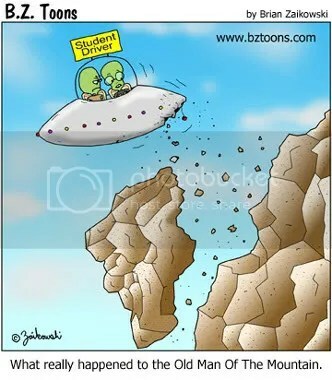 They were on their way to Olive Garden when they saw what looked like a comet. It was falling at first and it had a tail, giving him reason to think it was a comet. He jokingly said, oh its a UFO and as he said that it moved back up and hovered for about 30 seconds right next to another identical object. One of the objects disappeared into the clouds while the other was moving from left to right and in flat circular patterns. It did this for about three minutes until it also disappeared into the clouds. A man’s family were headed east on the 91 freeway at Beach Blvd. when his son noticed bright lights to the north-east, towards Ontario. They all watched for 3-5 minutes as 2-3 bright lights shone brightly and were stationary. Then they fell towards earth with a tail, much like a meteor. The strange thing was the objects that were falling came to a complete stop, then the light would go out, and reappear some seconds later in the same location. The husband was driving and could not focus completely on the event, but his family was in rapt attention. Traffic on the 91 freeway slowed to a crawl, which may be related to everyone watching what the folks were seeing. No mention on the news or anywhere. A lady was on her way to the HAT in Brea to pick up some food for her family. She saw the lights in the sky and at first thought it was meteoroid rocks falling, until they started actually going back and forth. She thought her eyes were playing tricks on her. She then saw one of the lights disappear and then the other, within a few seconds they both reappeared. She had called her boyfriend at 5:50 p.m.and told him what she had witnessed, he didn’t believe it. The lady really thought she was seeing things and when she pulled into the HAT parking lot she saw all these other cars parked and people staring into the sky. The objects seem to keep falling down and she had noticed what seemed to be a plane circling around them. The lady doesn’t know what it was, but it kind of freaked her out. Another witness was heading west on Orangethorpe Ave when he looked out the window and noticed a bright light with a tail falling from the sky. Thinking it was a falling star the witness looked away expecting it to be gone, but to his surprise the glowing light was floating, sitting in one spot. As he continued driving the witness kept shifting his focus to the object and watched it move very quickly horizontally about 3 to 4 times, each time leaving a tail of bright light behind. Then the light turned off for about 10 to 15 seconds and then turned back on, and started moving back and forth 2 more times. He then lost sight of the object when his view became obstructed for about a minute or so. The date was Saturday the 26 of January at approximately 6:00 p.m. He believes the whole event lasted about 7 minutes. A witnesses and their son had just left the Brea Mall on Saturday 1/26/08. They went across the street to the Hat for dinner right before 6:00 pm. As they were turning into the parking lot facing south, they saw a line of fire across the sky. There was a small plane in the sky and at first they thought the plane was on fire. The plane continued on, and then the light looked like 2 falling flames. These then became two bright balls that were hovering in the sky. It appeared as if one of them had a tail of flames behind it. One ball disappeared and then the other appeared to start falling but disappeared from their sight. There were at least 8 people in the parking lot looking too. The son took a picture on his cell phone, but it basically looks like a glowing ball in the sky. It was a strange experience! If there is anything i can add to this then i will, as information is a little sparse at the moment; probably one to watch out for though? 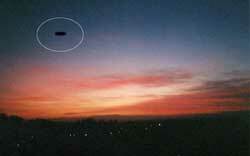 A report from this sighting can be seen at HBCC UFO Research HERE (posted feb. 3rd 2008).